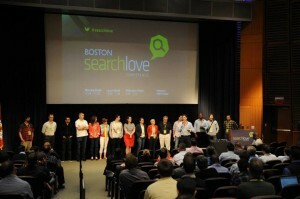 Web marketers in the know gathered this week for Distilled’s coveted SearchLove conference in Boston. Every face in the auditorium was glowing by laptop-light as SEOs, developers, CEOs, and even copywriters like myself were poised to jot down each and every knowledge-gem that was dropped by the illustrious presenters. The topics ranged from across the spectrum of web marketing, covering all aspects of our complex and ever-evolving industry. From theoretical and almost philosophical talks about applying behavioral psychology to inbound marketing and building brand personae, to more nitty-gritty strategies for scaling outreach, better reporting, and new ways of leveraging local search, we certainly got schooled. Web marketing gurus including Rand Fishkin of seoMoz, Wil Critchlow of Distilled, Annie Cushing of Annielytics and Wil Reynolds of Seer Interactive shared their insights about fresh trends, how to best adapt to changes in the dynamic realm of search, and how to navigate towards the best link building, great content creation and client relations techniques for our unique company. We have returned to Page One with a fresh outlook on both the big picture ideas we are excited to discuss as a team, as well as several clever, under-the-hood tricks that we can implement immediately to help boost organic traffic, conversions, and even site speed! There is never a clear cut path to success in this business--it takes a strategic formula comprised of testing, trials, failures, analyzation and creativity to stay one step ahead of “The Goog.” Here at Page One, we are proud to constantly add to our education, skill sets and tricks up our sleeve by attending conferences like SearchLove, so we are ever prepared to serve our clients best! 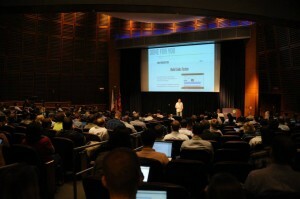 Please feel free to contact me at noella@pageonewebsolutions.com if you are interested in learning more about what we learned at SearchLove or have questions about any of the speakers or presentations listed.